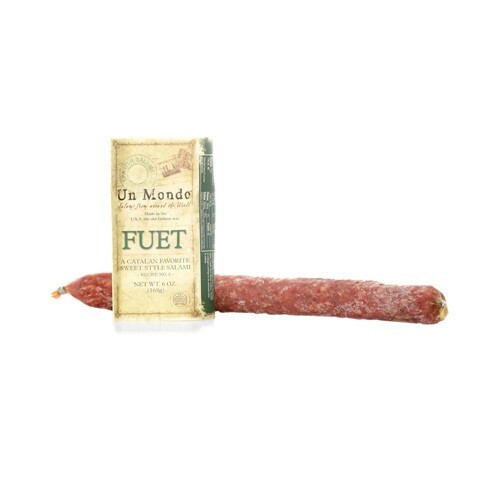 Un Mondo Fuet A Catalan Favorite Sweet Style Salami 6 oz. Manufactured using old world traditions, the Un Mondo dry Salsiccia is a Spanish style, all natural pork salami seasoned with select Spanish herbs and spices. This is a truly special item that can be best enjoyed with a robust red wine.